Perhaps you’ve heard about people ‘paying points’ on their mortgage, and you’re wondering what it entails. Maybe you want to know more so you can figure out whether paying points is the right move for you. This guide will help to fill you in on what paying points will mean for you and whether it’s the best option. Mortgage points can also be known as ‘discount points’. They are fees that are paid directly to the lender at closing in exchange for a reduced interest rate. As it can lower your monthly mortgage payments, it can also be called ‘buying down the rate.’ 1 point, for example, costs 1% of your mortgage. In short, you’re paying some interest up front in exchange for a lower interest rate for the term of your loan. The longer you plan to own the home, the more points will help you to save on interest. Running the numbers yourself is imperative to figure out whether this is the right choice for you. It’s up to you how many points you choose to pay so you can secure your desired rate and closing fees. You will need to discuss this with your loan officer if you conclude that paying points is right for you! You can check out this wonderful animated video for an even better idea of whether paying points on a mortgage is a good move for you. You may end up with a higher mortgage repayment than you’d like, depending on the amount of the loan you’ve taken out and the interest rate you qualify for. 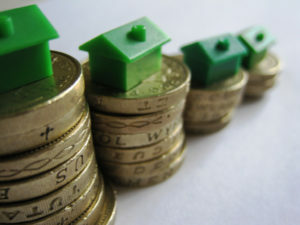 Instead of sizing down and choosing a house that is not your dream home, you can pay points to lower those repayments. Mortgage points can be beneficial as they keep the lender happy with the rate, and you pleased with the payment. You must usually be prepared to negotiate with the lender, as it’s up to them whether or not they take the deal. Let’s use this as an example: if the lender offers an interest rate of 6% on a $400,000 loan, and you decide that the payments are too high for your budget, you can offer to pay a certain number of points off the loan up front, as well as closing costs. This will reduce the overall payment of the loan. This can be an excellent plan for anybody who has the funds to do it, but for people who don’t have funds left over after the down payment, it can be a better idea to make the higher payment or find a home that they will be able to get more affordable payments with. Paying Points: Are They Good for You? If you can afford your monthly payment, don’t worry about paying the points. You shouldn’t even think about them if the home loan is affordable. However, if you can’t make the monthly payment without buying points, you may want to reassess your choice and look at something that fits in with your budget better. Paying points is a good option for you when the loan is merely a bit more than you can afford and you can put more cash on hand down to make it manageable. To work out if this is a good way to save money on your mortgage, you need to know how long you must stay in the home to save the amount you paid upfront to buy done the rate. It can take months for you to make money back in savings, and having your numbers and timeframe in your head is essential. Is it Okay to Buy Points on a Mortgage? This answer varies from buyer to buyer, so there isn’t a one size fits all answer. The longer you intend on living in the home you are purchasing in general, the more sense it makes to buy points. This is because the longer you are in the home, the more chance you will have of making savings at a lower interest rate. As points are something you must pay upfront, it’s an initial cost you must be sure you can make. When you take into account closing costs and your down payment, it should still make sense for you to do it. Points are generally tax deductible too, so bear this in mind; it’s almost like prepaying interest on your mortgage. Another good way to figure out whether paying points is an excellent choice for you is to work out the opportunity cost. For instance, if you would make more interest on the money you would use to pay points if it had been sat in your bank for years, paying points might not be the smartest decision. Being willing to crunch the numbers is essential. When Not to Buy Points? Now, you may think that paying points sounds like a good choice for you right now but hear this. If you are planning on living in the home for five years or less, paying points is likely not going to be to your advantage. You could probably find a variable rate mortgage with a low initial interest rate that would cost you less than a fixed rate mortgage even once you had bought points. As we mentioned previously, the longer you plan on staying in a house when purchasing points, the better. This gives you more of an opportunity to save money on the interest rate. How Can One Buy Points? So, you’ve figured out the pros and cons of buying points for your particular situation. How do you purchase points if you’ve decided that it’s the right choice for you? You will need to speak with your mortgage lender, as it’s their final decision as to whether they allow you to purchase points or not. You will need to determine how they assess points and look at the numbers on your loan offer, so you get an idea for how long it will take you to recoup this cost. Figuring out how much you might save in the long run is crucial. Make enquiries with each lender if you haven’t yet got one, so you know how they assess buying points. You can then use that information as you compare mortgage rates and various costs. Not all lenders are created equal so you’ll need to do your research on this to figure out if it’s the right choice for you. What is APR And What Does It Refer To? APR is the annual percentage rate that reflects the mortgage interest rate and other charges. The interest rate is the cost you will pay every year to borrow the money for your mortgage, which is expressed in percentages. It doesn’t include other charges that you may have to pay for the loan. An APR is a more general way of measuring the cost to you of borrowing the money, which is also expressed in percentages. APR not only includes the interest rate, but points, mortgage broker fees, and other relevant charges. This means that your APR is higher than your interest rate. The APR could show you the effective averaged annual interest rate if you held your mortgage for 25 years. However, it’s important to note that the APR may vary slightly from what you do pay. Some say that it’s meaningless and you shouldn’t pay too much attention to it. For instance, for a few years you may pay 3.75% APR, and then a few years after that 4.85% APR, while the APR has been 4.5%, which you have never actually paid. It shows the general price for over 25 years, that’s all. As the APR rate is variable, you shouldn’t put all of your focus on it. By merely focusing on the initial discount rate and being aware of what the SVR rate is afterwards, you may be able to compare with other rates. Comparing APR rates can cause too much confusion for it to be beneficial. The prevailing interest rate at a given time. The state of your credit. Bear in mind that APR can fluctuate day by day, so it isn’t the most important thing to focus on. Paying points can be a good decision for the few if you plan on living somewhere for a long time and you can afford the initial cost (plus assuming you’re not missing out on the opportunity cost), but it certainly isn’t for the many. If you liked this article, do share it on your social media profile to spread the awareness.